English Heritage has produced an updated version of its guidebook to Chesters Roman Fort on Hadrian’s Wall (for earlier guides see here). This and the earlier guide are by Nick Hodgson. The coverage has grown from 40 pages to 48 pages plus the material inside the covers. There are some changes to the illustrations. The main new section is on the Clayton Museum with sections on the Antiquarian Display; The Collection; Coventina’s Well (see here); The Corvoran Modius. The new guide, like the old, illustrates the so-called Crosby Garrett helmet and asserts the find-spot rather than inserting the phrase ‘said to be’ at the appropriate place. 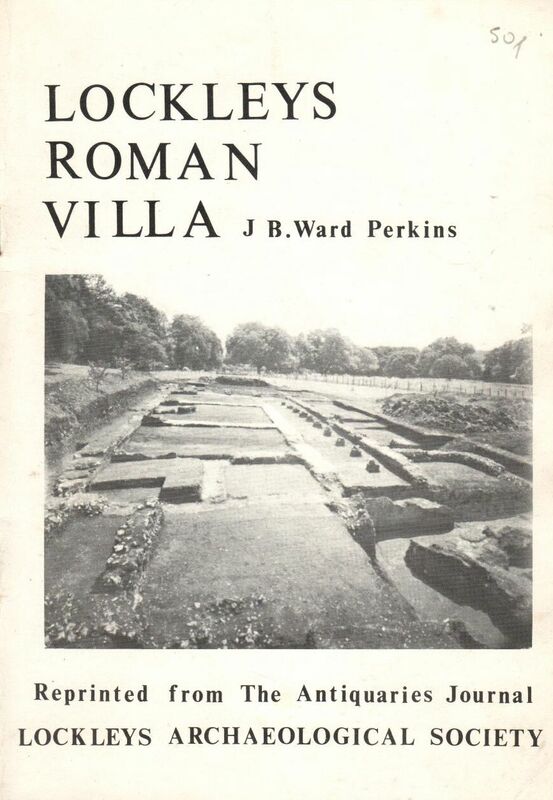 The Roman villa at Newport on the Isle of Wight was discovered in 1926 (and noted in AJA  JSTOR). Among the excavated remains are the bath-complex. Notice the explanatory signs (from 1975). The military bath-house at Vindolanda lies on the northern side of the excavated vicus outside the west gate of the fort. The bath-house was one of the first structures to be excavated by the Vindolanda Trust as it was felt that it would provide visitors with something to see and therefore would generate income for the site. This was undertaken over two seasons in 1970 and 1971. This view from the mid 1970s shows the view across the bath-house looking south towards the replica stretches of the stone and turf walls. Note the placing of a seat within the bath complex to allow visitors to look across the excavations. The conservation was undertaken by a team from the Department of the Environment. This same view, some 40 years later, shows the present display of the bath-house taken from the viewing platform. Note how the grass has been replaced with gravel. The Roman fort at Chesters lies immediately to the west of where Hadrian’s Wall crossed the river North Tyne. The site, along with the Clayton Memorial Museum, was placed in State Guardianship in 1954. The official Ministry guidebook was prepared by Eric Birley, who also wrote the guides for Corbridge and Housesteads. The sections include: the site; historical outline; the fort bath-house, bridge; civilian settlement; and museum. A foldout map inside the back cover shows the location of the fort and its environs, from Milecastle 26 to Milecastle 28. Plans of the fort and bath-house are included within the guide. The English Heritage guide by J.S. Johnson was published in 1990. It is fully illustrated in black and white. It starts with a tour of the fort and bath-house; the museum; Chesters bridge; the Romans in the north; history of Chesters fort (including a section on the Chesters Estate and John Clayton). It includes reconstructions by Alan Sorrell. The most recent English Heritage guide is by Nick Hodgson (who also wrote the EH guide to Corbridge). This is fully illustrated in colour. It follows the patter of tour then history. A foldout plan inside the back cover shows the layout of the adjacent civilian settlement. One of the features includes the so-called Crosby Garrett Roman cavalry helmet. The main bath-house at Chesters lies to the east of the Roman fort and alongside the river North Tyne. Interestingly the Ministry signs use the English, rather than Latin, terms for the rooms. Thus the Hot Room is preferred over caldarium. (The present English Heritage guide designates this as the ‘Steam Room’.) This room also contained a ‘Hot Bath’ on its west side (now described as ‘Apse containing hot water fountain’). David Breeze in the 14th edition of the Handbook to the Roman Wall describes the caldarium as a ‘hot room’. He interprets the apse as the location of ‘the warm bath’. The site was placed in the care of the Ministry of Works in 1954. The Welwyn Roman bath-house is preserved under a special vault under the A1(M) in Hertfordshire. Details about visiting times can be found here (along with pdf guides in English, French and German). 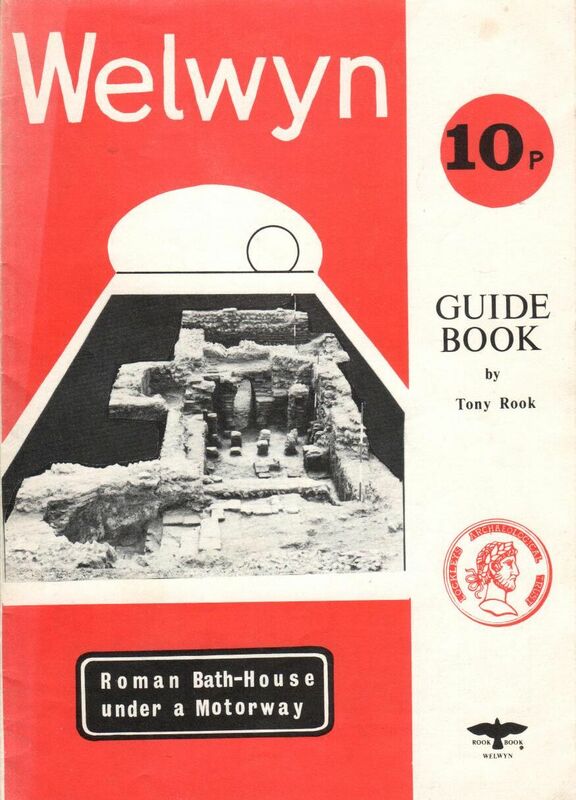 Tony Rook produced a small folded card guide (for 10p) on behalf of the Welwyn Archaeological Society (1975). A notice about the “Dicket Mead” excavation (as it was known in 1972), conducted by the Lockleys Archaeological Trust, appeared in the reprint of J.B. Ward Parkins, ‘The Roman villa at Lockleys, Welwyn’, The Antiquaries Journal 18, 4 (October, 1938) 339-76 (my copy has a pencil price of 50 p). The reprint contains a short introduction by Rook. Lockleys is close to the bath-house.